In his first public comments since he reported the Tuesday morning attack, actor Jussie Smollett said he’s working with authorities and has been “100% factual and consistent on every level,” disputing rumors online that he has been less than forthcoming with Chicago police. “Despite my frustrations and deep concern with certain inaccuracies and misrepresentations that have been spread, I still believe that justice will be served,” Smollett continued. Smollett, 36, was walking along the 300 block of East Lower Water Street in the Streeterville neighborhood around 2 a.m. Tuesday when he was approached by two attackers who allegedly yelled racial and homophobic slurs toward him, according to police. They then allegedly began to hit the victim in his face, poured a chemical substance on him and wrapped a rope around his neck before fleeing the area. Smollett took himself to Northwestern Memorial Hospital, where he was listed in good condition. Police are searching for surveillance footage of the attack, but they say video does show Smollett returning home with a rope around his neck just after he says he was beaten. Investigators this week released photos showing two persons of interest who were in the area around the time of the attack. The incident is being investigated as a possible hate crime. 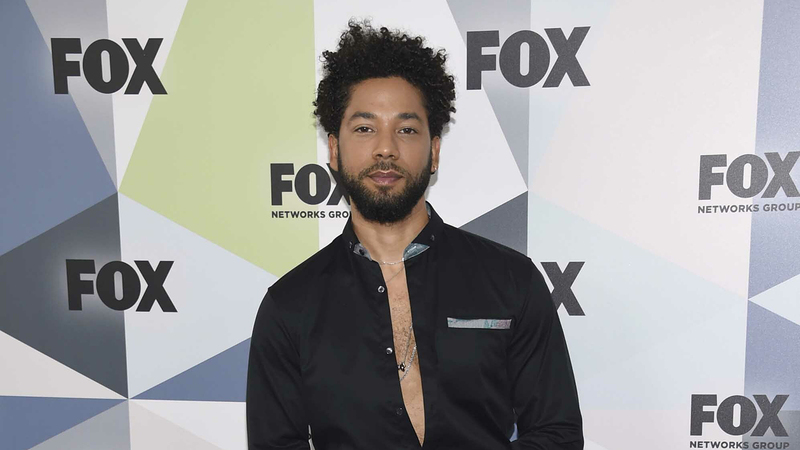 Several LGBTQ and black activist groups are planning to hold a rally in New York City on Friday evening for Smollett and other LGBTQ survivors of violent crime.